CINCINNATI -- Mayfield Brain & Spine, the region's largest neurosurgical practice, is partnering with the region's largest health system and largest oncology practice to provide comprehensive, state-of-the-art care at the Brain Tumor Center at The Jewish Hospital – Mercy Health. The collaboration involves Mayfield, Mercy, and OHC (Oncology Hematology Care). The announcement was made today at The Jewish Hospital – Mercy Health. Mercy Health has invested $15 million in infrastructure, technology and talent in the Brain Tumor Center, which furthers The Jewish Hospital's position as Mercy Health's neurosurgery center of excellence. 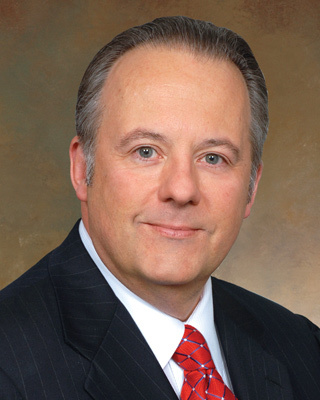 Vincent DiNapoli, MD, PhD, a Mayfield neurosurgeon and brain tumor specialist, serves as Director of the Brain Tumor Center. Ronald Warnick, MD, a Mayfield neurosurgeon, continues in his role as Co-Director of the Gamma Knife Program at The Jewish Hospital. 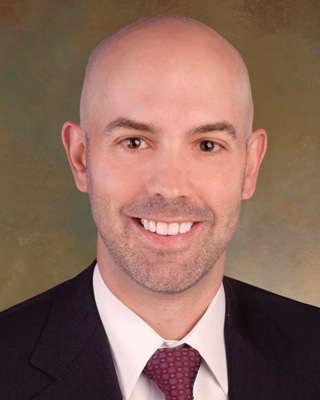 Dr. DiNapoli, who earned his fellowship in skull base surgery and neuro-oncology at the MD Anderson Cancer Center, said the Mercy-Mayfield-OHC triumvirate will serve as "an intellectual and technological powerhouse" in the field of brain tumor care. "The Jewish Hospital Brain Tumor Center will provide unrivaled care to patients in the Greater Cincinnati region while also serving as a destination for patients within the wide geographic reach of Mercy Health." The Mercy health system counted 7 million patient encounters at 23 Ohio and Kentucky hospitals in 2017. The Brain Tumor Center itself has an extensive geographical reach, having already cared for patients from 23 states and provinces. Patients and referring physicians can call 1-855-823-1537 to begin the appointment process. 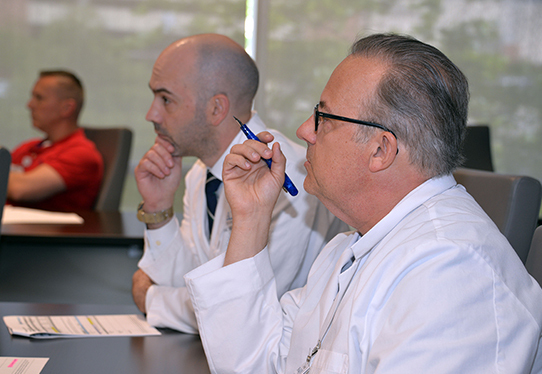 The Brain Tumor Center features 22 physicians who specialize in neurosurgery, otolaryngology (ear, nose and throat), radiation oncology, medical oncology, neurology, neuropathology, neuroradiology, and rehabilitation medicine. The center includes the only skull base brain tumor program featuring fellowship-trained surgeons, the region's only Gamma Knife® ICON™ radiosurgery program, a multidisciplinary Tumor Board and a nationally recognized bone marrow transplant program. "These skilled surgeons also work collaboratively with the region's only Gamma Knife radiosurgery team, enhancing our ability to treat previously unreachable tumors," said Pat Davis-Hagens, Mercy Health Central Market President and CEO. "The greatest benefit of the Brain Tumor Center is that it will provide patients with access to exceptional surgical services and innovative technology," Dr. Warnick said. "Most notable is the Gamma Knife ICON, which enables our neuro-oncology team to treat virtually any location in the brain with ultra-high precision and minimal effect on healthy tissue." The ICON promises accuracy to .5 millimeters while delivering a radiation dose to healthy tissue that is two to five times lower than competing technologies. "The ICON's frameless 'mask' option enables treatment of previously challenging tumors, including large lesions," Dr. Warnick said. Mayfield, which operates the region's leading brain tumor surgery program, brings nationally recognized and highly specialized brain tumor surgeons to the center. Mayfield surgeons have performed nearly 10,000 brain tumor cases over the past 25 years – more than 6,000 open surgeries and more than 3,800 stereotactic radiosurgery procedures, in which precisely targeted rays eradicate tumors without an incision. OHC is the region's premier source of treatment for nearly every form of adult cancer and complex blood disorder. Areas of expertise include Gamma Knife, blood and bone marrow transplants, clinical trials, genetic counseling, gynecologic oncology, hematology, integrative oncology, medical oncology, neuro-oncology, palliative care and radiation oncology. OHC is certified by the American Society for Clinical Oncology in the Quality Oncology Practice Initiative Certification Program and is the only accredited Oncology Medical Home in Cincinnati, which ensures patients receive the highest quality cancer care. Karyn M. Dyehouse, MD, a medical oncologist and Chief Medical Officer at OHC, said the partnership will give patients access to the newest treatments through OHC's robust clinical trials program and its collaboration with U.S Oncology, an independent national physician healthcare network that offers more than 300 clinical trials at any given time. "OHC's clinical trials program is one of only six community oncology practices in the nation recognized by the Conquer Cancer Foundation of the American Society of Clinical Oncology," Dr. Dyehouse said. "This means we are dedicated to conquering cancer worldwide by providing treatments to patients in the communities we serve." "Our patients receive state-of-the-art care from a dedicated team of brain tumor experts," Dr. DiNapoli said. "Our multidisciplinary team – including our highly trained nurse practitioners and registered nurses -- understand the concerns of patients and their families. Together, we will partner with them every step of way, from diagnosis through to treatment and, if needed, rehabilitation." Mercy Health - Cincinnati makes advanced, compassionate, quality health care easy to help you be well in mind, body and spirit. Mercy Health – Cincinnati has been serving Greater Cincinnati for more than 160 years and provides an integrated network of leading physicians, compassionate caregivers, comprehensive services and exceptional care at more than 180 locations across the region. The Mercy Health – Cincinnati network of care includes five award-winning hospitals, senior living communities, primary care and specialty physician practices, outpatient centers, fitness centers and a variety of outreach programs. Mercy Health - Cincinnati hospitals have earned national Truven Health Analytics' 100 Top Hospitals honors more times than all other Cincinnati hospitals combined, placing them among the best hospitals in the nation. Truven has also named Mercy Health - Cincinnati as one of the nation's Top 15 health systems four times, more than any other health system in Cincinnati. Mercy Health – Cincinnati is part of Mercy Health, the largest health system in Ohio and fourth largest employer. To learn more visit, mercy.com and engage in the conversation via Mercy Health - Cincinnati's social media channels (@mercy_health on Twitter and Mercy Health - Cincinnati on Facebook). OHC – Cincinnati has been fighting cancer on the front lines for more than three decades. OHC is certified by the American Society for Clinical Oncology in the Quality Oncology Practice Initiative Certification Program and the only accredited Oncology Medical Home in Cincinnati. At OHC, the search for new treatments is relentless; the drive to provide superior care runs deep; and our fight against cancer is personal. OHC's independent, physician-led practice is known for delivering clinical excellence combined with unmatched personal and emotional support in 16 locations throughout the region. At its heart, OHC's approach to cancer care is simple – to surround you with everything you need so you can focus on what matters most: beating cancer. For more information, visit ohcare.com or Oncology Hematology Care, Inc. on Facebook.